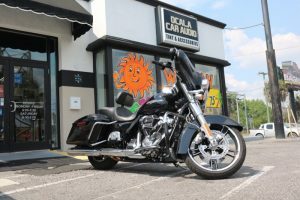 If you have recently purchased a car, truck or SUV, drop by Ocala Car Audio and talk to us about new car necessities. 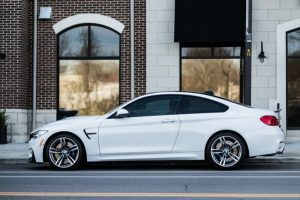 From window tinting for added comfort to paint protection or floor mats to keep your vehicle looking like new, our team can help you personalize your new car or truck to make it suit your needs. 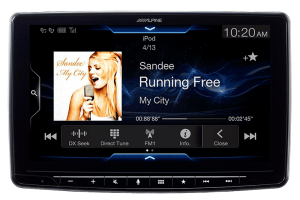 Let’s look at a few of the new car accessories that are popular with our clients. One of the premier services we offer is window tinting, whether you want the driver and passenger windows to match the privacy glass on the rear window of your truck, or are interested in a premium UV- and heat-rejecting film like 3M Crystalline to make your vehicle safer and more comfortable. Our technicians are fanatical about ensuring each installation is performed to only the highest standards of craftsmanship and attention to detail. You can be confident that your vehicle will look great and you won’t have to worry about the film peeling, bubbling or turning purple. 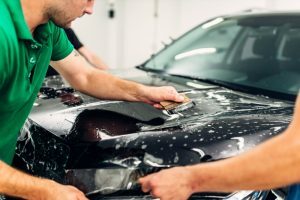 If you care about your car or truck, then adding a durable layer of paint protection film is the best way to prevent stone chips or paint damage from lovebugs or scuffs and scratches. Paint protection film, also called clear bra, is an incredibly durable urethane film that bonds directly to your vehicle’s paint surface. The film absorbs impacts and prevents stains from aging the look of your car or truck. The films we install resist stains from tree sap, road tar and bug splatter. The UV-blocking characteristics also make them a great solution for protecting headlight lenses from yellowing and fading. They even have self-healing properties to ensure your vehicle continues to look amazing! While most people associate a remote starter with the cold weather up North, they are a perfect solution for making your vehicle is comfortable when it’s hot out. Starting your vehicle remotely a few minutes before you want to leave gives your air conditioner a chance to cool off the interior. Remote starters are an ideal solution for anyone with young children or older clients who may experience breathing problems when they get into a hot vehicle. We don’t get snow and slush, but sand from the beach or dirt from a construction site can quickly make the interior of your vehicle messy. 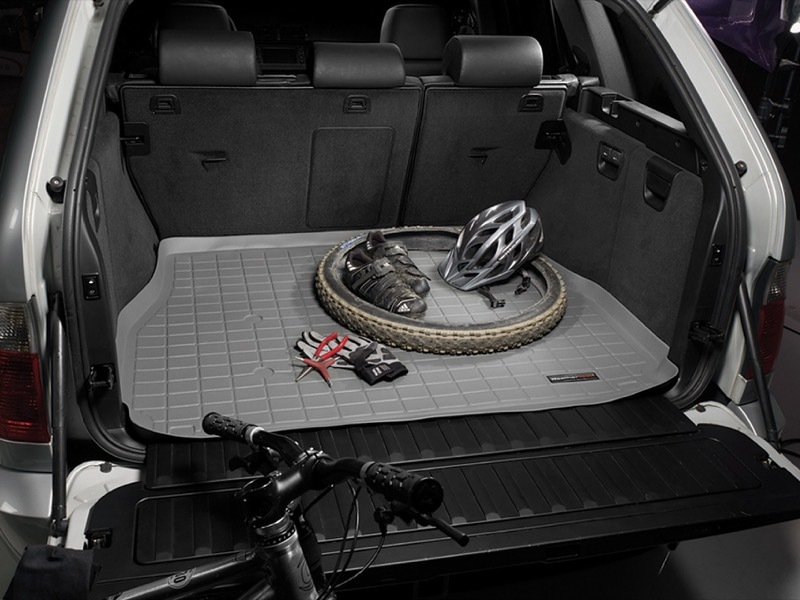 WeatherTech Floor Liners and Husky Liner X-Act Contour and Weatherbeater floor mats conform to the footwell of your vehicle to protect the carpet from dirt or spills. The mats are durable and can handle the heat and humidity that comes along with being in Florida to ensure your vehicle continues to look great. 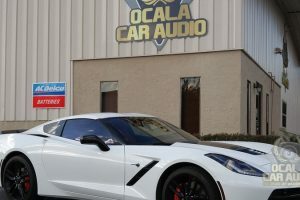 Even if you have no plans to upgrade the sound system in your new vehicle, drop by Ocala Car Audio to find out how we can enhance the comfort and style of your vehicle while adding protection that will keep it looking great for years. 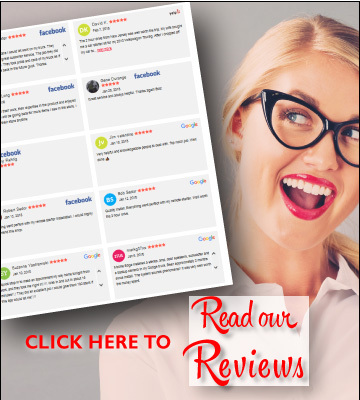 One of our product specialists would be happy to inspect your vehicle and help you choose the new car necessities that are tailored specifically to your lifestyle. For more information, give us a call or send us an e-mail using our online contact page.